“It is great to watch Katie grow in confidence,” said her mum. Katie has developed a good friendship with Dawn, and they have plans to do more Travel Buddying together. The next journey Katie is going to learn is by train to the college where she is studying Maths and English. 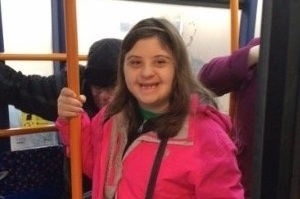 This will mean that her mum won’t have to drive her to college, and Katie can move even further towards her goal of becoming more independent.